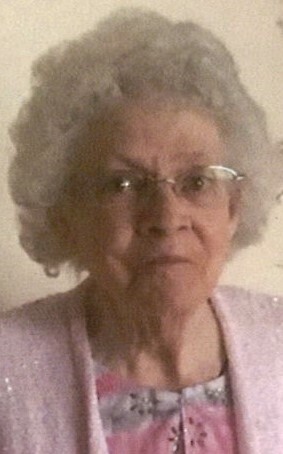 Obituary for Julia "Judy" Faye Geller | Donald R. Crawford Funeral Home, Inc.
Julia “Judy” Faye Geller, 86, of Uniontown, PA passed away peacefully at her home on April 6, 2019 surrounded by her loving family. She was born May 8, 1932 in Hopwood, PA to the late James R. Russell, Sr. and Blanche (Robinson) Russell. Judy, as she was affectionately known, was a longtime member of the Cherry Tree Alliance Church in Uniontown, PA. She had seven children, eight grandchildren and eight great grandchildren. She was the last surviving member of her immediate family which included ten brothers and sisters. She was preceded in death by her parents, her brothers Roger Russell, John D. Russell, James R. Russel Jr., Maurice Russell, Harry Russell Sr., Samuel Russell and her sisters Bertha Kunkle, Margaret DeCarlo, Sue Flenniken and Geraldine Brewer. She was also precede in death by her daughter-in -law, Joletta Marie (Vall) Geller. Her children will receive family and friends at the Donald R. Crawford Funeral Home in Hopwood, PA on Wednesday, April 10th, 2019 from 4:00-7:00pm and Thursday from 10:00-11:00am the hour of the service with her oldest son, Reverend Donald G. Geller Jr. officiating. Interment will follow at the Belle Vernon Cemetery in Belle Vernon, PA.
Memorial contributions may also be made to Community With A Cause United Methodist Church, P.O. Box 310, Lexington Park, MD 20653.